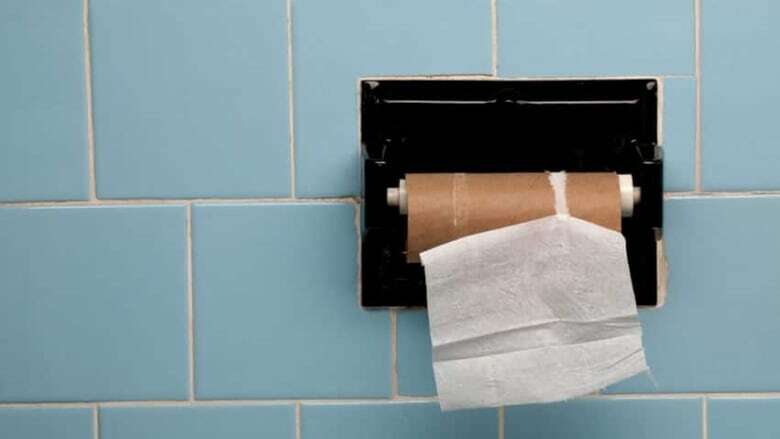 Students at the University of Waterloo are in full support for student council to advocate for two-ply toilet paper, as many are dissatisfied with the current one-ply toilet paper. Many students at the University of Waterloo are hoping student council will lobby the university to get better toilet paper on campus. Many students at the University of Waterloo want two-ply toilet paper on campus, as many are dissatisfied with the current one-ply toilet paper, some student politicians say. Results from a recent online survey, which generated 275 responses, showed that 75 per cent of students were in support of the idea of having the Federation of Students lobby university administration for the change. "It's an item on campus that we use all the time so it's something that we felt would be great to bring to student council to discuss," Seneca Velling, secretary for the students' council, told CBC News. Velling and student councillor, Lenny Cheng, put together a report on the idea highlighting student's dissatisfaction with the current one-ply toilet paper. Students said it rips easily, it's inconvenient to fold and only selected washrooms, which are not always easily accessible, have two-ply toilet paper, he said. On Dec. 2, the students' council voted in favour of a resolution to ask the university to equip all washroom stalls with two-ply toilet paper. The resolution also said the university may need to upgrade its plumbing to "reasonably accommodate two-ply toilet paper" and said the university should not increase ancillary student fees to accommodate this request. A post on the website Reddit also showed strong support for two-ply toilet paper on campus. The post asked: "Should Feds lobby the University for 2-ply toilet paper?" Ninety per cent of the 300 votes were "strong yes." "We think this is an issue that students can relate to and would like to see addressed in addition to some of the more substantial items like sexual assault response and prevention and mental health initiatives," Cheng told CBC News. Velling said there are some things that will require more research. For example, he said students misusing or overusing two-ply toilet paper could lead to plumbing issues and they would need to look at who would cover the extra cost of providing two-ply toilet paper. "There's a fixed pot of money and what we spend on things, like two-ply toilet paper, is that better spent elsewhere," he said, adding that those conversations will soon get started with university staff. A university spokesperson was not immediately able to respond to a request for comment.